It’s fair to say that cheese isn’t the first foodstuff that springs to mind when you think about romance. But actually there’s a historical precedent for cheese romance as the milkmaids of yore with their creamy (smallpox-free) complexions, impeccable personal hygiene and impressive biceps were the most sought-after of country companions. These days cheese has somewhat lost its allure d’amour but nevertheless, on this pinkest and fluffiest of days, I was determined to bring you a cheesy cheese story. Rachel is a semi-hard, unpasteurised, washed rind, goat’s milk cheese made by Roger Longman and Peter Humphries of White Lake Cheese at Bagborough Farm in Somerset. And why the romance? Well, the story (and there are several slightly differing versions, it would seem, so delete as appropriate) goes that Rachel was the name of Humphries’ friend/ex-girlfriend/a prospective squeeze that he wanted to impress. Regardless of the exact circumstances, he named the cheese after her because she is ‘sweet, curvy and slightly nutty’. Aw! (White Lake also make another cheese called Katherine who again, depending on what you believe, is either named after the Welsh mezzo-soprano Katherine Jenkins or Longman’s girlfriend who got miffed that no-one had named a cheese after her.) Either way, it all fairly warms the cockles, doesn’t it? 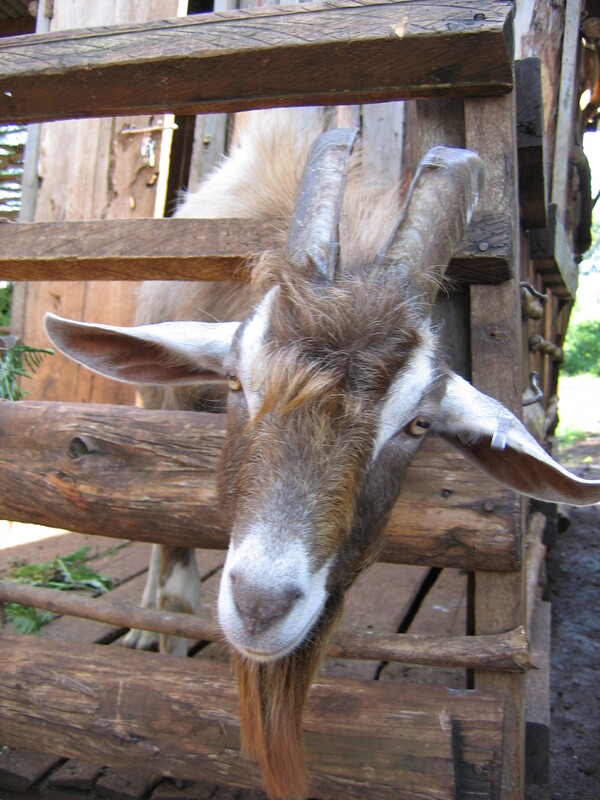 The goats are milked twice daily and produce about two and a half litres of milk each. The milk for their cheeses is thermised; this means that it’s heated but not as high as when milk is pasteurised. It kills off harmful bacteria but leaves some of the good bacteria that contribute to flavour. 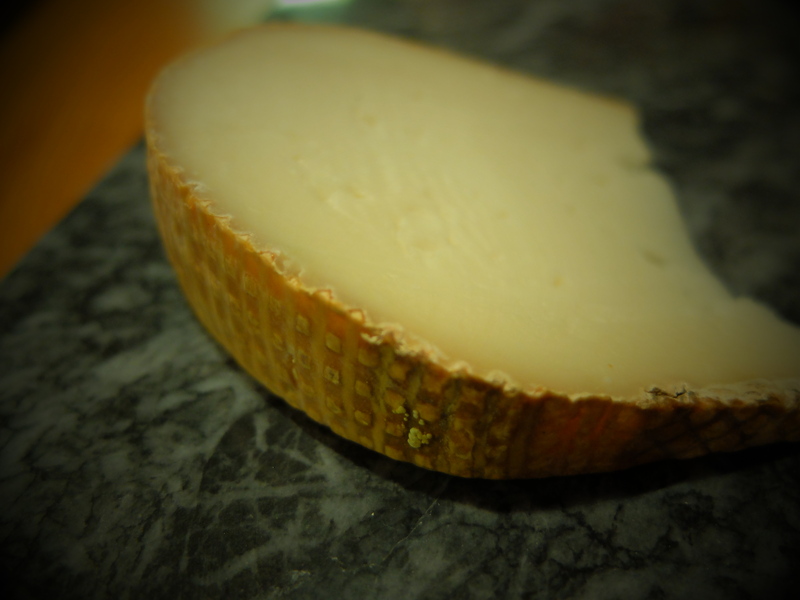 Rachel is a washed curd cheese which means that whey is removed and replaced with hot water, which ‘washes’ the curds. This removes the lactose (milk sugars), keeping the acidity of the cheese low and retaining moisture, which results in a sweet and nutty taste. It’s made in a classic colander shape which gives it that fossil-like rind. The rind is also washed in brine (rind-washed goaty cheeses being quite rare) and it’s ready to eat at about six or seven weeks. With additional research from Hanson Fine Foods, The Devon Week and The Telegraph. Mine would be a blue cheese, mostly soft and creamy with a bit of a kick now and then! Preferably st Agur! Nice! Not 90% fierce like a Roquefort then! Definitely a washed rind for hygiene reasons but not stinky! One of those cheeses with a soft centre but also a good bit of bite. I like the expression ‘a good bit of bite’. Sounds better than my ‘tendency to turn rancid’! Ha, that made me laugh out loud! Very Mills and Boon! I’d love for someone to name a cheese after me! If husband was doing the naming, he would either pick a fruit cream cheese out of irony, or something like an aged cheddar because we joke about our age..
Pork Belly wants to meet Rachel! I’d like to think my cheese would be a soft, young-at-heart, giddy goaty one. Pork Belly’s would be mature and a little bit crusty!